 Body composition analysis involves a series of tests to measure the ratio of different tissues that our bodies are currently made up of – including muscles tissue , fat, bones and percentage of water in the body. It also provides you with the metabolic rate (BMR) - the daily minimum level of energy or calories your body requires when at rest (including sleeping) in order to function effectively and Body Mass Index (BMI). Body Composition Analysis is absolutely essential on you quest to get and stay fit. It is a much more relevant measure compared to just checking the weight or BMI. We represent the BIODY XPERT - professional multi frequency device with no cables, no consumables. Please call us today for more details.